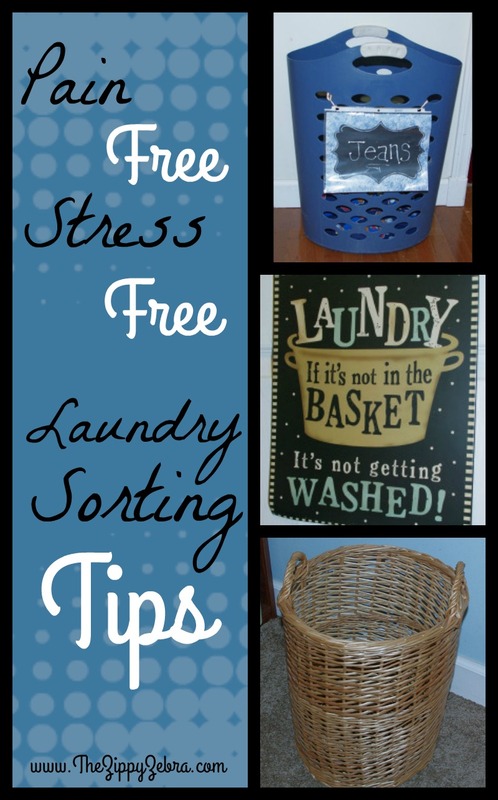 Who doesn’t like to save time and energy especially on laundry? I know I do and I am ready to share my top 15 laundry tips with you. 1. Only wash a full load. It requires the same amount of power whether you wash a partial or full load. IF you must wash a partial load adjust the water level accordingly. 2. Only wash towels, sheets, blankets and jeans in hot water. It costs less to wash in cold, most delicate items require cold (and goodness knows my youngest daughter has plenty of those) and items bleed much less when washed in cold. 3. We also use Shout Color Catcher to reduce the chance of any bleed through. Due to the fact I sort the laundry by color we don’t usually have an issue with this but I do on occasion find a slight bleed from odd items my kids toss in so I buy Shout Color Catchers, cut them into thirds and toss a section in with each load. If it doesn’t pick up any color bleed I reuse it in the next load. 4. Make your own soap instead of purchasing premade. See a testimonial on the savings and efficiency here. 5. Reduce the amount of detergent you use. I have found I can use considerably less than the recommended amount listed on the bottle or box and still get our clothes clean and fresh. 6. Before washing, check for holes and stains, in good light. Pre-treat BEFORE washing to avoid set in stains. Check stained items again before adding them to the dryer as heat will set stains permanently. If the stain remains treat again and allow to soak. 7. To protect lace and sheer items from damage make certain all hooks, snaps, zippers and velcro are closed. I don’t know how many fancy lace tops we have had become stretched or torn because someone threw a spare item in without closing the fasteners and the lace has become caught in the teeth or stuck to the velcro. 8. Keep your washer clean and operating efficiently by running a load of vinegar through every few months. You can add your towels at the same time to clean your washer and fluff your towels. Vinegar removes the detergent and softener build up very often found in items after months of use, making your washer cleaner and your towels fluffier. 10. Clean the dryer vent itself after each load and clean the attached indoor hose at least quarterly. To do this we simply detach the hose from the washer and vacuum with the hose attachment, reattaching when finished. 11. When doing multiple loads in one day wash them by color but dry them by weight. My daughter’s sheer and lace blouses take considerably less time than my husbands work polos. So I try to dry all the lightweight items together for less in dryer time and then the load of heavier items (without overloading it). 12. Remove items (like polos) when the body is dry but the collar or pockets are still damp then hang immediately or place on a collapsible drying rack. This reduces wrinkling and shrinking too. 13. Hang extremely heavy items on a drying rack to air-dry part way before tossing in the dryer to fluff. When my sister lived with us previously it seemed as though the dryer was constantly running just to dry her super heavy hoodies. I learned (over time) to wash those first and then hang them up to air dry while the rest of the laundry runs through the dryer, by the time the lighter weight laundry has dried the hoodies have aired some and take considerably less time to dry. 15. If drying multiple loads, keep the clothes moving in and out in order to utilize the heat already accumulated. Do not leave the dryer door open allowing valuable heat to escape. Did you think of any laundry tips we missed? 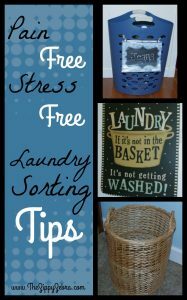 Please feel free to share your money saving laundry tips in the comments below or by linking your post to our current Sharing Saturday Link Up Party. 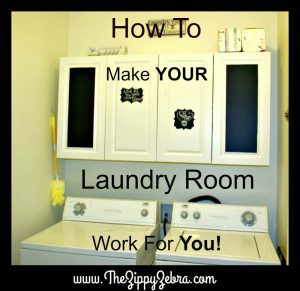 Check out the laundry tips I recently shared on my chronic illness blog at The Zippy Zebra. For more great ideas follow us on Pinterest, Facebook, Instagram and sign up for weekly emails. Note: This post contains affiliate links. Please click here for details.